Join us on many awesome scuba diving tours in cape town. See the underwater beauty of the cape peninsula. 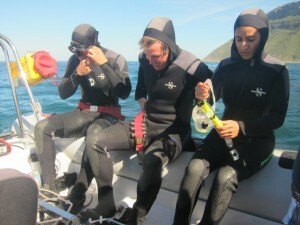 We scuba dive from either False Bay, Simons Town or Hout Bay. We can take you on relaxing guided shore dives and boat dives, just let us know the type of dives you would like. We also run many PADI scuba diving courses daily. As the air and sea temperatures warm up, summer is around the corner. The scuba diving season is about to start. I will be running guided scuba tours every day, including shore and boat dives. All Padi courses are running weekly, refresher courses and Discover scuba. So whatever you feel like doing, give me a call and we can arrange it for you.